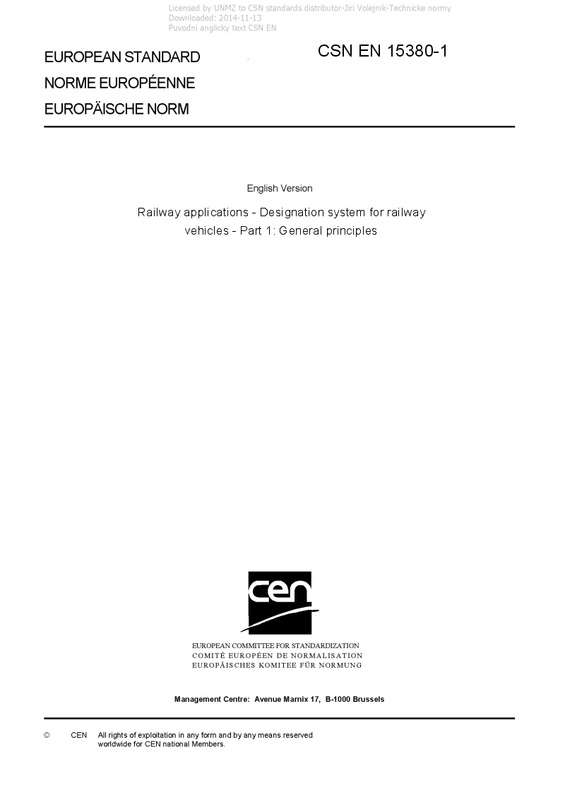 EN 15380-1 Railway applications - Designation system for railway vehicles - Part 1: General principles - As a railway-specific technical standard, this European Standard specifies the designation system for technical products and technical project documentation. It takes into account the general rules for structuring principles according to EN 61346-1 and designations according to EN 61355. The European Standard specifies the structure and content of the designation sets required in the technical project documentation. The designation depends on the aspect used, see Annex C, individually or in designation set combinations, i.e. : - product groups according to EN 15380-2; - installation site/location according to EN 15380-3; function structure according to DIN 25002-5.